It's Sunday night, tomorrow is Monday. Tonight sharing with you a wonderful body care product that I like to use. 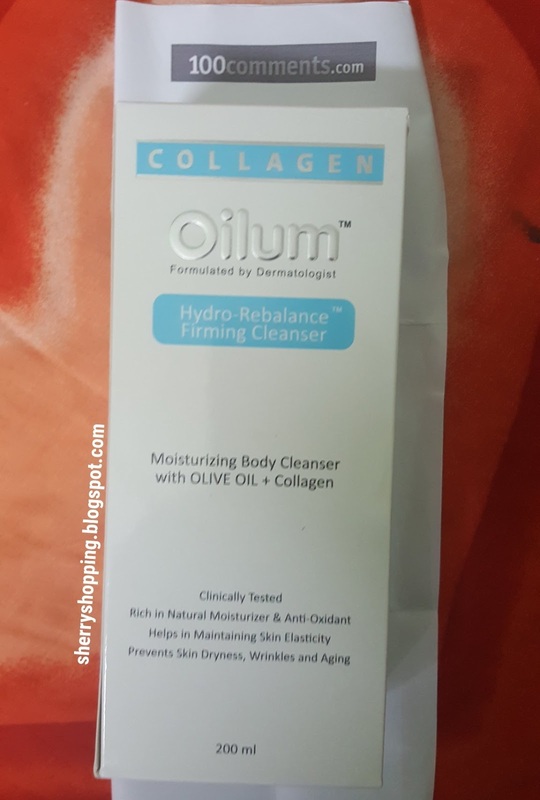 The Oilum Hydro-Rebalance Firming Cleanser this is 200ml a bottle. The product is manufactured in Indonesia. 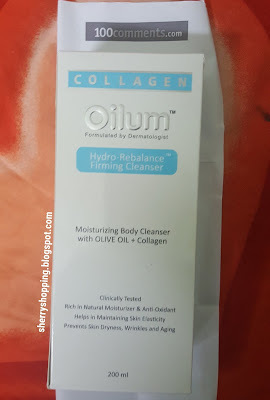 Oilum hydro rebalancing firming Face & Body cleanser, it is designed for dry and sensitive skin suitable for daily cleansing for both adults and children. This product is easy to just one pump can make a lot foam when lather with water. This product is formulated by Dermatologist. The nature olive oil and collagen in this rejuvenating body cleanser work together as a unique formulation to enhance skin's hydration's as well as restore's skin moisture balance and elasticity. It is recommended on the box that use it just twice daily. The product is suitable for me as I don't feel sticky after using it. I like the rich in natural moisturizer + anti-oxidant of this product. It helps me to prevent skin dryness. 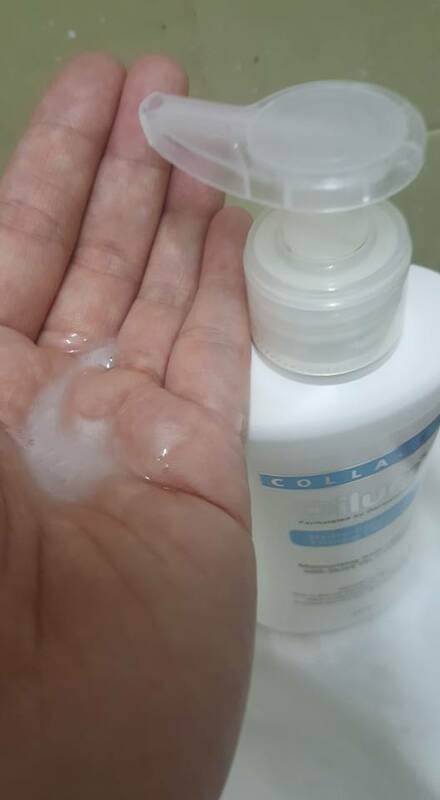 This is not an ordinary body cleanser. As its formulated by a Dermatologist, this product is made to meet the clinical needs of people seeking dermatological solutions for their skin conditions and clinically tested for its safety. Though it is suitable for me, not sure if it is suitable for you or not. Perhaps you can seek advice from the pharmacies before purchase the product. Special thanks to http://100comments.com for sending me the product for review. They are more products you can see at the website, click on the link to view them. 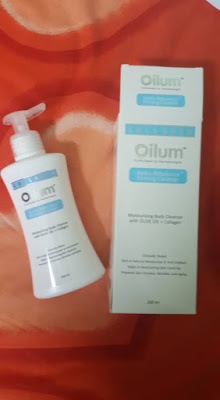 Oilum is a good product which helps to hydrate and firm the skin. 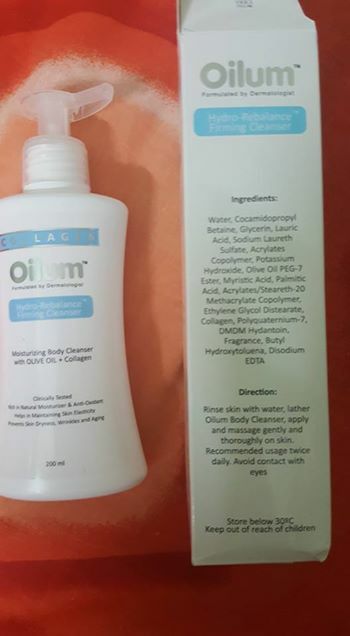 It is not sticky when you use Oilum. Oilum is very useful and helpful for dry skin.